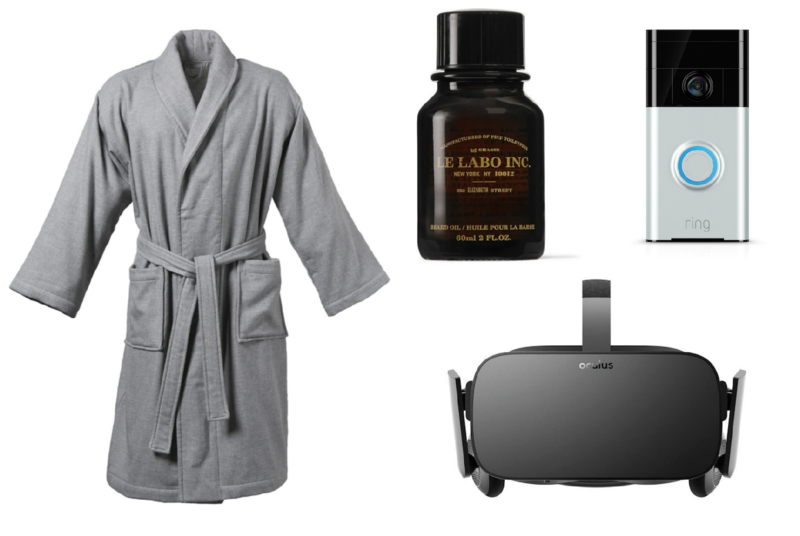 It’s no secret that I find buying presents for men incredibly arduous – my Men’s Gift Guide is one of the most taxing posts of the year. I think it’s because the men in my life (and by that I mean Mr AMR and then male family members, I don’t have multiple husbands! Though, that could be fun..) can never tell me what they might want for Christmas. They usually don’t have any clue whatsoever and if they do have an idea then it’s never a straightforward one. It’s no wonder that so many dads and brothers get socks for Christmas – it’s easier with partners, because you pick up little ideas throughout the year, but trying to think of wonderful, inventive stuff for family members just gets…tiring. Anyway, on that uplifting note (ha!) here’s my men’s gift guide, 2017. A few things are rather pricey I’m afraid, but there’s nothing like the feeling of buying your way out of trouble at 3.36pm on Christmas Eve. (The racing of your heart as you hand over the credit card, knowing that you’ve gone over the mutually agreed limit. The sense of smugness mixed with a feeling of disappointment that once again you’ve chucked a load of money at the situation because you left things too late. Oh, just me? OK then, as you were…) If you want to get your man presents done and dusted so that you can concentrate on the fun stuff (things for yourself) then read on! Let’s start with some posh stuff. I like to think that this selection is for the high maintenance man – he wears cashmere scarves and dry cleans his shirts. I also like to think that this selection has been chosen by my subconscious because – sod the present-giving – I like everything in it for myself. 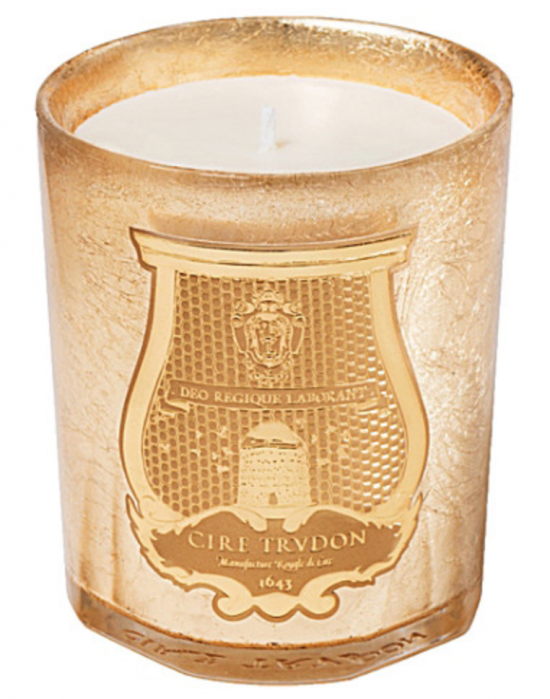 Cire Trudon Abd El Kader Christmas candle, £78 here*: Cire Trudon candles are the absolute height of quality and luxury and – for me – their Christmas editions are a highlight of the beauty calendar. The scents are never too woody or too obviously drenched in pine or eucalyptus or roasted chestnut or any other Christmas cliché; always completely magical and absolutely unique. Calvin Klein Metallic Sunlasses, £330 here*: ouch, I know. When did shades get so expensive? I’ve included these because a friend of mine has an obsession with retro and vintage sunglasses – he buys them from special dealers in the US! – and for some reason they reminded me of him. 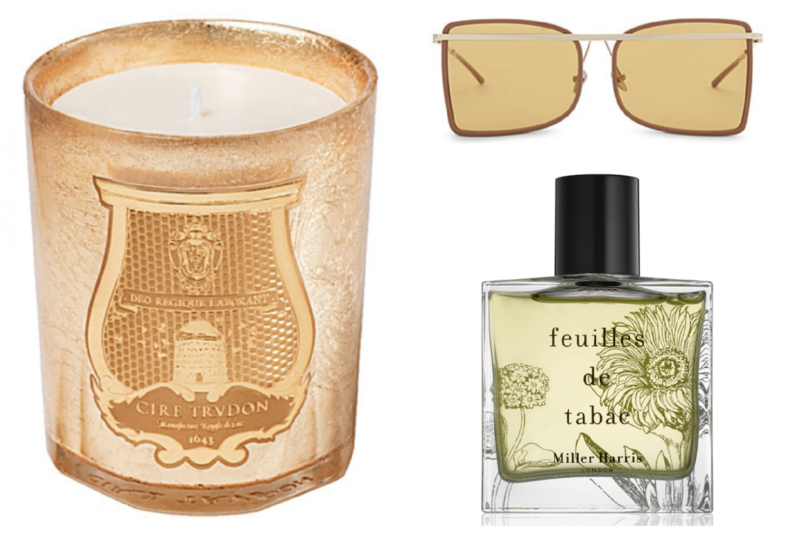 Though I’m not sure they’re outré enough for him, I love them – very unusual and a refreshing change if you (or your man) are bored of the run-of-the-mill aviators. 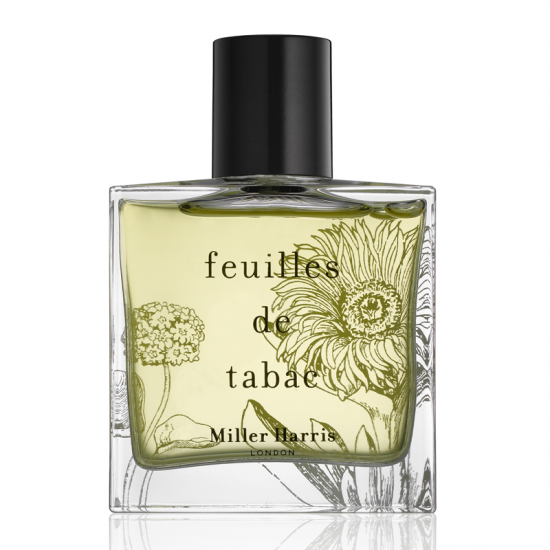 Miller Harris Feuilles de Tabac, £75 here*: another present idea for the man who likes to go a bit off piste with his fashion and grooming choices. If the usual Tom Ford and Chanel fragrances leave him cold, try this gorgeous Eau de Parfum from Miller Harris – it’s spicy and woody and has a hint of tobacco. Think “posh gentleman’s club”. 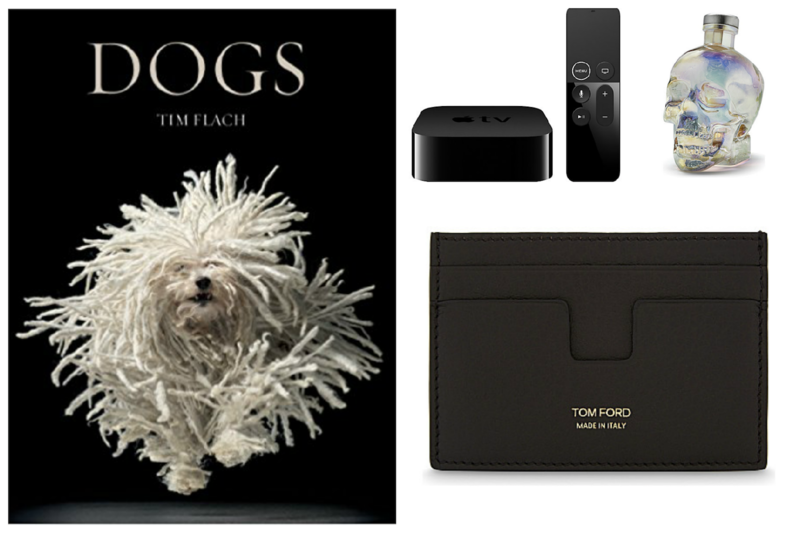 Tim Flach’s Dogs, £38 here*: a great coffee table book, you absolutely don’t need to be a dog-lover to appreciate Tim Flach’s amazing photography. A good one if you want something a bit arty but don’t want to risk the in-laws flicking through a book of nudes. Because that’s always a conversation-stopper. Ditto watching Game of Thrones with them. Don’t. Ever. 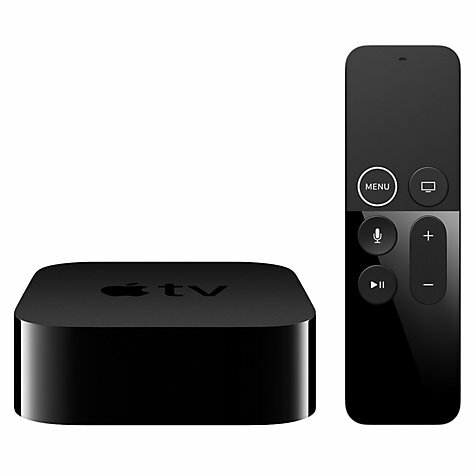 Apple TV 4K, from £179 here*: talking of Game of Thrones, or indeed any sort of box set, what better gift than (almost) every single box set and movie all in one tiny machine? Mr AMR and I still have the first ever Apple TV (basically a prototype, weighs the same as a small car) but the all-singing all-dancing 4K connects your television to your phones and iPads giving you access to apps and games and allowing you to stream your content. It basically turns your widescreen telly into a gigantic iTelly. Life, sponsored by Apple. 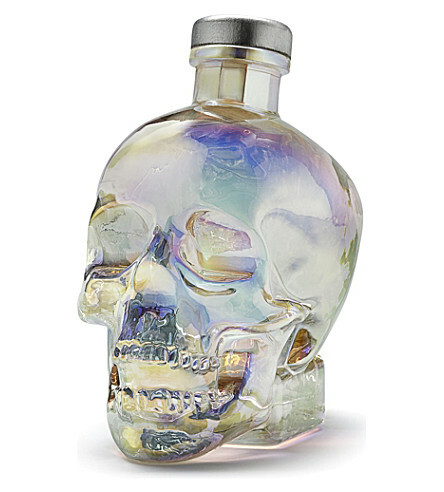 Crystal Skull Head Vodka, £79.99 here*: if the thought of life sponsored by Apple is slightly depressing, be cheered by a shot or two of – er – vodka from a skull. Nothing more cheery than pouring liquid from a cranium. It looks cool though and I have it on good authority that the booze inside is alright too. Sh’alright then. Right. Hic. 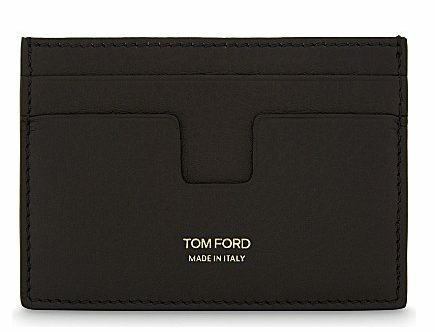 Tom Ford Grained Leather Card Holder, £170 here*: because he always gets a wallet and it’s time to move on. This is more streamlined and won’t make a stupid rectangular bulge in his pocket, a bulge that makes him look as though he’s carrying a house brick around with him. 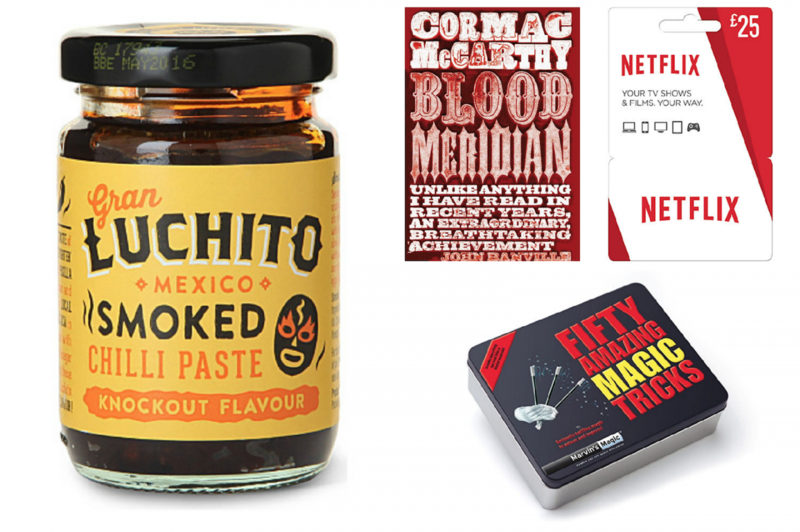 Gran Luchito Smoked Chilli Paste, £5.99 here*: I have a huge appreciation for exotic-looking condiments with good labels. I think that it’s because one day I hope to have a pantry like Nigella’s. Anyway, whether he cooks or not, he’s bound to fall in love with this chilli paste. It’s hot, it’s flavoursome and it has a myriad of uses, from marinading meats to drizzling over taco fillings before they are transported to your mouth. 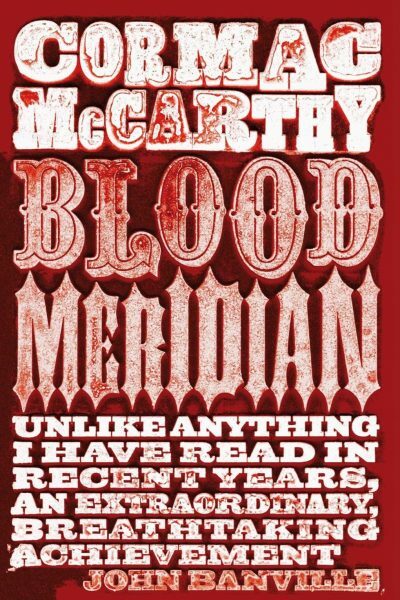 Cormac McCarthy’s Blood Meridian, £8.30 here*: I’m always looking for good books about the Wild West. For my Dad and for Mr AMR and probably my brother too. All seem to have an unhealthy fascination with it. Anyway, this book should satisfy the craving – it is apparently both gory and addictive and, horrendously, based on real stuff, so that’s nice. Merry Christmas. 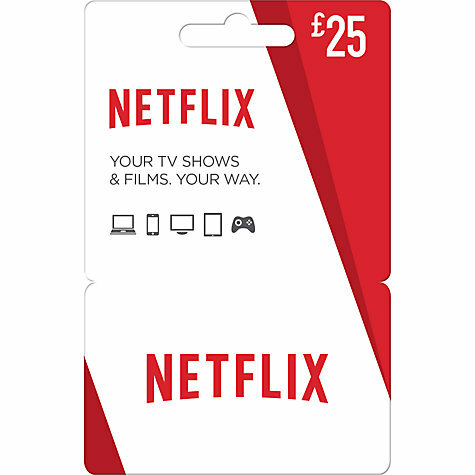 Netflix Gift Card, £25 here*: a three month Netflix subscription, what could be better? Well, a twelve month one, but let’s gloss over that. If you want to throw in a bit of a freebie, then just scribble “and chill” in red pen, just below the “Netflix”. If he’s under the age of 35 then he will probably know exactly what you mean. But for God’s sake, only write that if he’s your lover. Not your Dad or brother or any other blood relative. Or non-blood relative. Or boss. 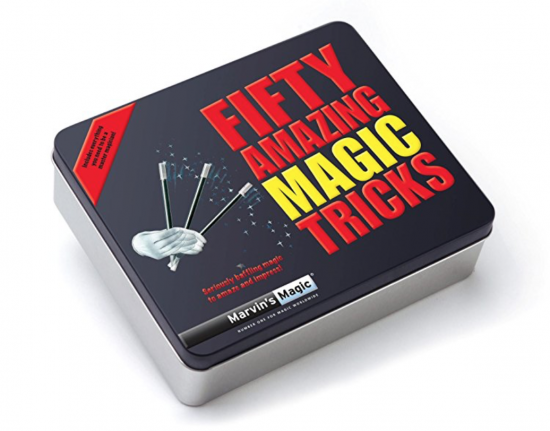 Marvin’s Magic Fifty Amazing Tricks, £9.99 here*: ooh now I love this one. I’m always slightly wary of magicians, especially at weddings, because they prevent you from doing what you want to do, which is get completely hammered, but once they get cracking it’s always impressive. This set of fifty tricks will keep him busy (and annoying) for the whole of Christmas Day and might provide some entertainment when the elderly relatives are slumped in the armchairs and you’ve had enough of the rubbish TV. 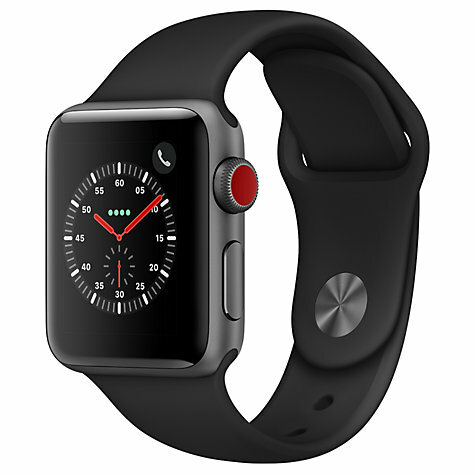 Apple Watch Series 3, £399 here*: this is Mr AMR’s one contribution to the gift guide this year (cheers for that, Mr Helpful!) but he tells me it will be well-received. It does clever stuff like answering the phone and sending messages and monitoring your health and fitness. I have to be honest: I’m tempted. Especially if it makes me exercise, perhaps with a small electric shock to the wrist every time I sit down. I’d buy into that function… iCattleProd. 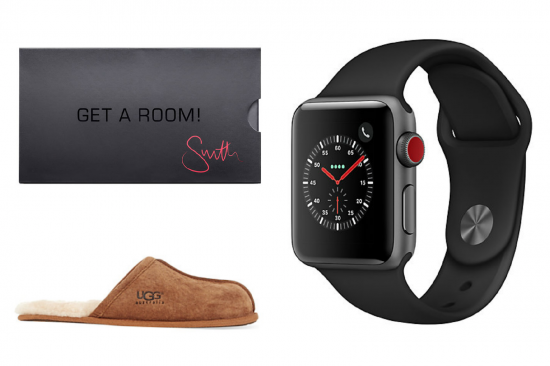 Ugg Slippers, £80 here*: apologies, Mr AMR made two contributions to this year’s gift guide. He wanted you to know how comfy these slippers from UGG are, and that skimping on price doesn’t pay. That’s a dig at the fact I went for a well-known competitor instead and the slippers fell apart in the first week. They replaced them and the new ones fell apart too. I don’t even know how, because he was hardly up from the sofa! The mind boggles. Anyway, you get what you pay for, etc. Christy Windsor Robe, £79 here*: I cannot tell you how long I’ve searched for a dressing gown exactly like this one. (I can actually, since my honeymoon nine years ago!) When we were road-tripping across America the posher hotels had bathrobes with cotton on the outside and flannel on the inside. I could never find one the same in the UK and went so far as to order one from the US, but I think it got held up in customs (worthwhile haul!) and – alas – I’ve been without for all of these years. But the Christy Windsor has answered all of my prayers – it’s exactly what I’ve been looking for! 100% cotton with a towelling interior. Bravo. 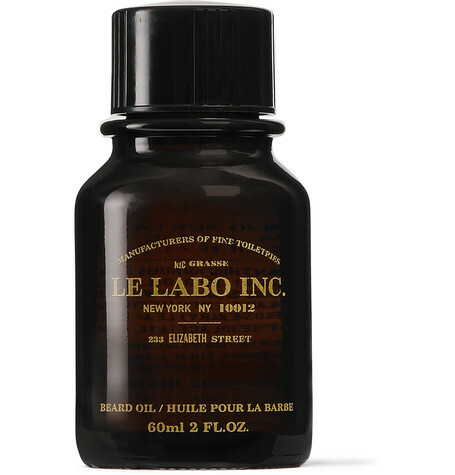 Le Labo Beard Oil, £45 here*: one for the hipsters, really. Because it’s a very hip, niche brand, but if he’s up to speed with his fashions and trends then he’ll know that they do the most incredible fragrances. And he’ll probably have a beard. So, match made in heaven. Oh God, I’m really running out of steam here. Why did I pick so many things? Why didn’t I just talk about socks, and ties, and crappy calendars with golfing jokes in them? 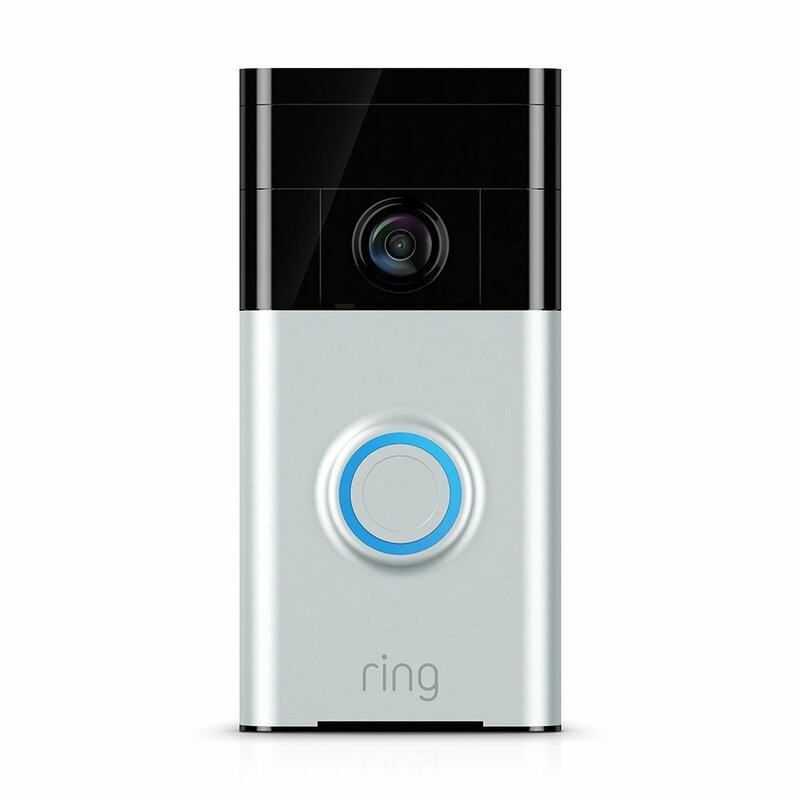 Ring Doorbell, £135 here: now this is a clever little thing. It will satisfy all of his Liam-Neeson-in-Taken special agent fantasies. It’s a doorbell (nothing exotic there) that acts as a video intercom so that you can see who’s at the door and also speak to them. Long, boring conversations that will have them twitching to get away, which in turn saves you from having to invite them in. It’s perfect for people who like to be antisocial but get a lot of parcels – you can see immediately on your smartphone or iPad if it’s the DPD man or Barbara from next door with her tales of woe. Money well spent and – joking aside – amazing for adding a bit of extra security with very little fuss. 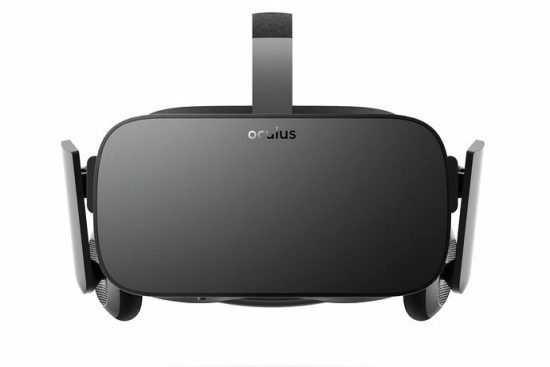 Oculus Rift, £474.50 here*: this is way out of my comfort zone, with regards to actually knowing what an earth it does. But I asked my friend Jim, who has one, and it’s a virtual reality headset. It’s apparently incredible – you really feel as though you’re somewhere else. I wonder if it has a “Maldives with Tom Hardy” setting? Ha. Only joking Mr AMR. I can imagine that this will be an enormous bestseller this year. I’m not at all gadgety, and even I want one.. Right, go forth and get all of your man presents out of the way. I hope I’ve been of some help to you!